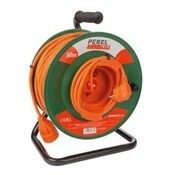 Perel cord with a length of 50 meters. 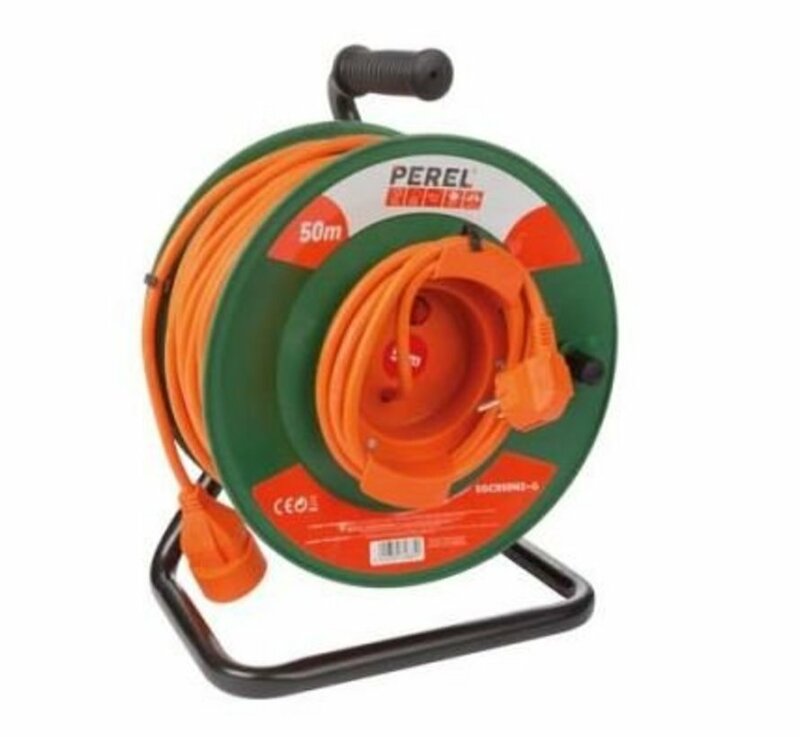 ideal cable reel with a wide range. Connect your garden tools to this Toolland garden reel. 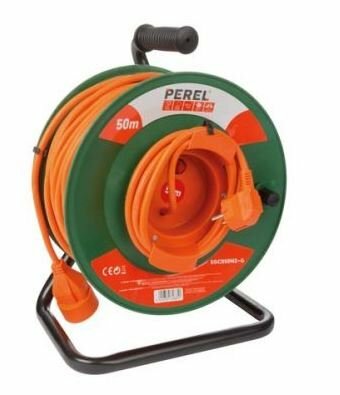 This plastic reel has a PVC cable and has one male and one female plug with child protection. Safety comes first with this reel thanks to the thermal protection. This ensures that the voltage is interrupted when the cable overheats if, for example, the power consumer is too large. Very nice, this built-in safety device! The cable has a length of no less than 50 meters. This way you can place the reel virtually anywhere in your large garden. Handy in the summer, but also in the winter around the holidays! With this garden reel you provide all your temporary Christmas and mood lighting with power.